We have still more sad news to report this Monday morning. Cootie Allmond, Class of 1937, passed away in Newport News on Sunday, July 10, 2011 at the age of 94. NEWPORT NEWS - Otis C. 'Cootie' Allmond passed away after a short illness, at the age of 94, on Sunday, July 10, 2011. Otis was a lifelong native of Newport News. Mr. Allmond retired from the ACC conference after 20 of service as an official. Mr. Allmond was a graduate of the senior class of 1937 from Newport News High School. 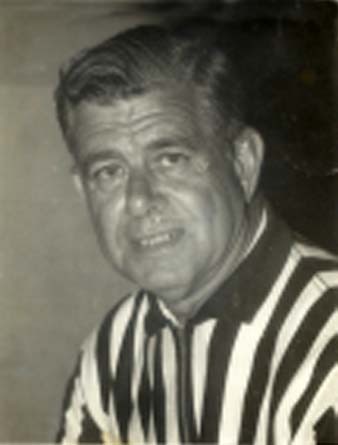 Mr. Allmond was also a Charter Member of the Basket Ball Officiating Crew in 1953. Mr. Allmond was preceded in death by his parents, Otis and Virgie Allmond; two sisters and a brother. The Committal service will be private. Expressions of sympathy may take the form of contributions to the Boys and Girls Club of Newport News, 429 Thorncliff Dr., Newport News, VA 23608. Peninsula Funeral Home is in charge of the arrangements. View and post condolences on our online guestbook at dailypress.com/guestbooks. Published in Daily Press from July 11 to July 12, 2011. As a member of the NNHS Class of '65, I am sure I express the sentiments of most of my classmates when I say I will forever cherish watching "Cootie" referee Typhoon basketball games. He has left us with many fond memories. My condolences to the family. "Cootie" was often a thorn in the side of NNHS fans. Having graduated from NNHS I think he worked extra hard not to show favoritism and trust me, he succeeded. He provided Typhoon fans with many memories. Rest in peace, "Cootie". One of the best refs...ever! Our deepest condolences are extended to Cootie's family and friends at this difficult time.